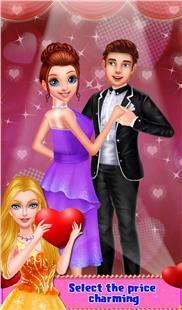 Valentine Day is all set to arrive and every girl wants to look the best on valentine Day. 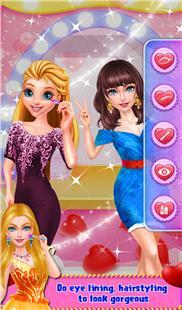 So play this beautiful game and help Doll to get an outstanding look for this valentine Day. 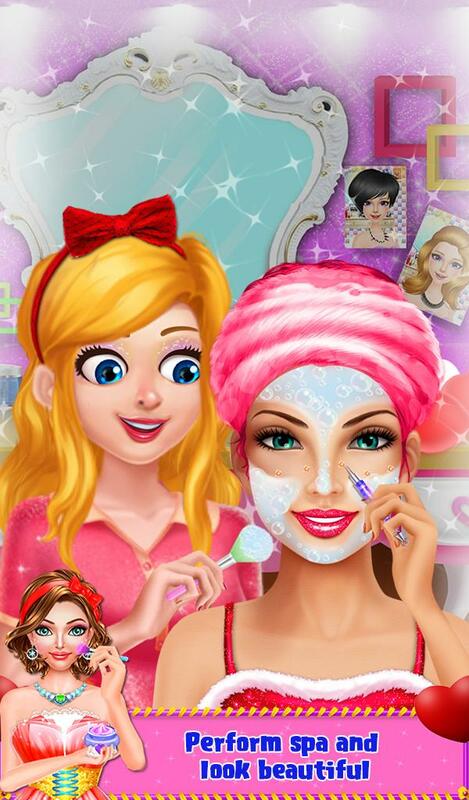 Fashion valentine Doll Spa game starts with the Spa view where you just need to touch the screen and make face clean, remove pimples and much more. 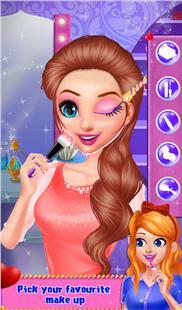 Then next step is the makeup section where you will be selecting a hairstyle, lipstick, and other makeover activities. 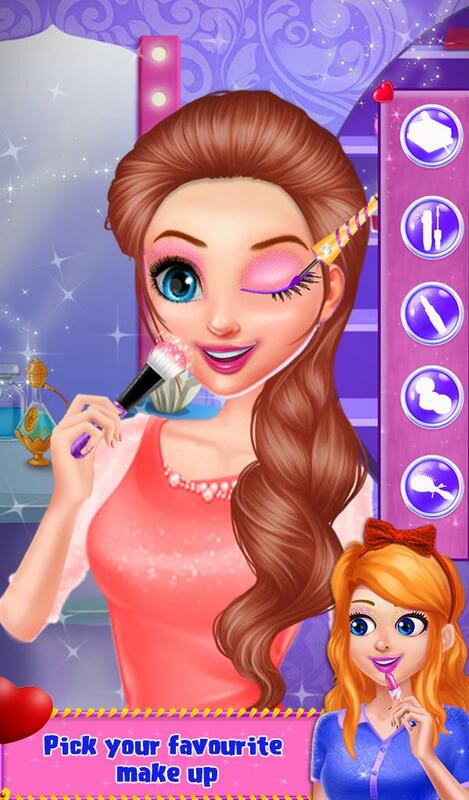 In this section, you will also get to choose awesome jewelry, earrings, makeup, eye lens and much more. In the dress up view, you will get to pick a beautiful dress, bags, shoes, and top in various colors. 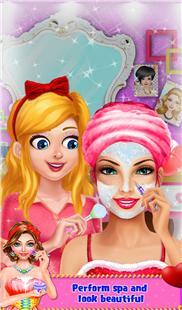 And at last after performing all these activities click awesome photos and save those photos to your gallery.